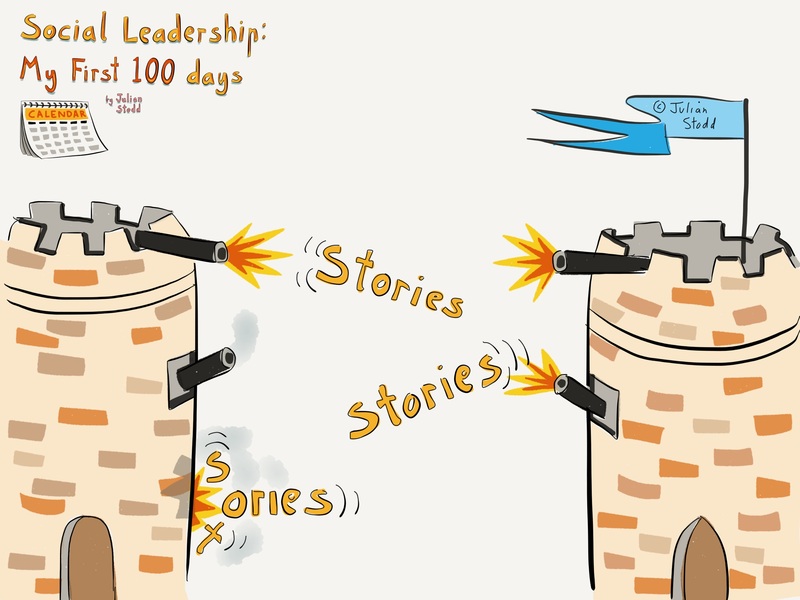 A key aspect of Social Leadership is to recognise that our primary role is not to craft stories of power, pushing them through a network, but rather to act, with humility, to hear stories within a network, to find the storytellers, and connect the dots. The role is to capture the wisdom from within the tribal communities, not impart colonial wisdom into them. It may sound easy, but it can be the hardest thing, because stories are, themselves, vessels of power, and by picking up a story, you subject yourself to the power that it holds. In many ways, we can describe Organisations as expressions of belief: sure, they have a physical presence and structure, and both legal and architectural foundations, but their reputation, effectiveness, and even engagement, are matters of invested belief. They are both enabled by, and constrained by, the stories that they are held within. Some stories fly, whilst others wilt and die: which is which is not simply a matter of volume and voice, but rather a matter of relevance, underlying power, ownership, potential to personalise, and ability to control. 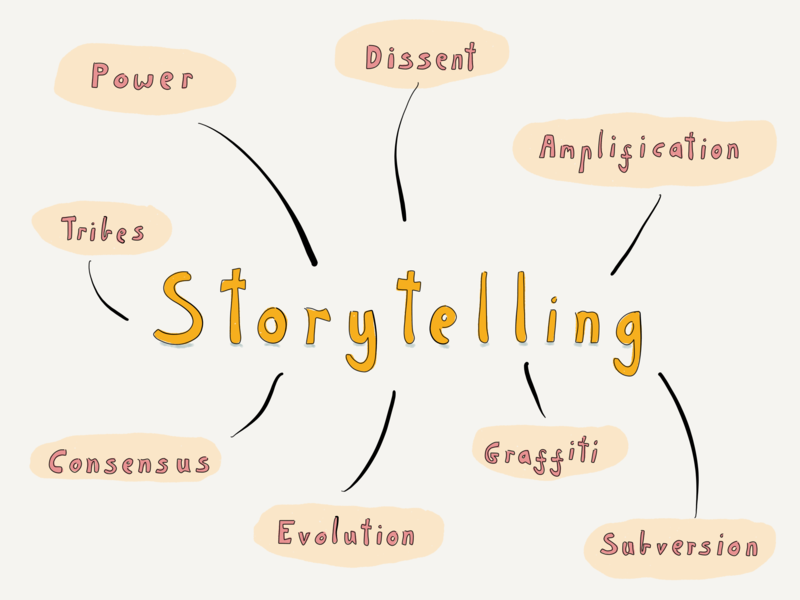 I’m half way through guiding the first cohort through my new ‘Landscape of Stories’ certification programme, exploring how stories work, how we can understand their power within the context of Organisations, and how we can become a better Storytelling leader, and this seemed like a good time to capture my route notes. I’ll start with POWER: i guess my greatest insight has been to view the entire storytelling ecosystem as a network of power. 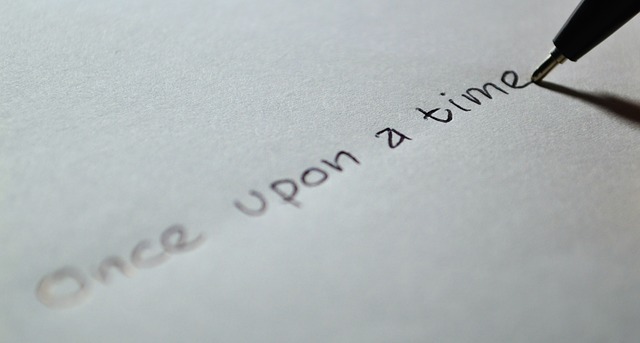 Stories are both shaped by power, and carried by it. The power of the individual (authenticity), the power of our role (hierarchical power), and the power of our network (reputation based power). Our power influences our perspective (if we have power, it’s harder to envisage, or empathise, with views that lack it), and influences our ability to both access, and hear, alternative views. Power dampens down opposition, or moves it into conflict and dissent, often reinforcing existing frames of understanding (rather than helping us to evolve them – just look at the Brexit ‘debate’. It’s not a framework that is changing minds, but rather embedded conflict). To understand Storytelling in Social Leadership, we must understand how power is granted, claimed, or gained. Power leads directly into the twin conversations of ‘CONSENSUS’ and ‘DISSENT’: these represent structures within which stories are held. If we agree, we can form consensus, and if we are opposed, we fall to dissent, but these are not passive categorisations, they can be actively deployed, to great effect. For example, much of our contemporary political conversation in the United States is held in structures of dissent. Similarly, to achieve amplification, we may find that dissent is a more powerful mechanism than consensus. It may be counter intuitive, but one of the strongest forces that can bond us is a unified opposition to a third space. ‘AMPLIFICATION’ is an output from the system: it’s a force that is applied behind certain stories, in certain contexts, and the main feature of this that we have pursued in the ‘Landscape of Stories’ is the notion of ‘Story Handles’, the way that we create spaces for people to invest themselves in the story, to make it their own in some way and, hence, carry it forward. As is often the case, the thing we seek (amplification) may be an emergent feature of a system, not the system itself. It may be the prize awarded for getting everything else right. I’ve had a strong focus on modes of social organisation: how people ‘fit together’ in society, and that has led to an interest in the relationship between ‘TRIBES’ and stories. Our most essential building block of social structure is ‘trust bonds’, those people with whom we share a special, and invested, bond. Because tribes are coherent social structures, they hold stories (the data of a specific tribe, the information that makes it so). The notion of tribal structures relates to stories held in opposition or consensus. You cannot impose a counter narrative upon a tribe, be it a leadership team, a logistics team, or the union. Our only route in here is consensus, or stories of difference and dissent, where we still collaborate in complex ways, but without needing to hit consensus. A tricky step to take, but one which Social Leaders can learn to do more than formal ones, because they do not start in opposition. I have a long term fixation with ‘GRAFFITI’, as a claimed voice, and we can view it within the context of Organisations as ‘sanctioned subversion’, the spaces and places where we are privileged to hear dissenting voices. We can use graffiti techniques to build a better understanding of the diverse views held within the broadest context of the Organisation. ‘SUBVERSION’ is, itself, a word that we can reclaim: to move beyond seeing it as destructive, towards a view where we understand it as necessary to deconstruct obsolete and constraining ideas and narratives. Sometimes, in order to change, we have to deconstruct dominant narratives. 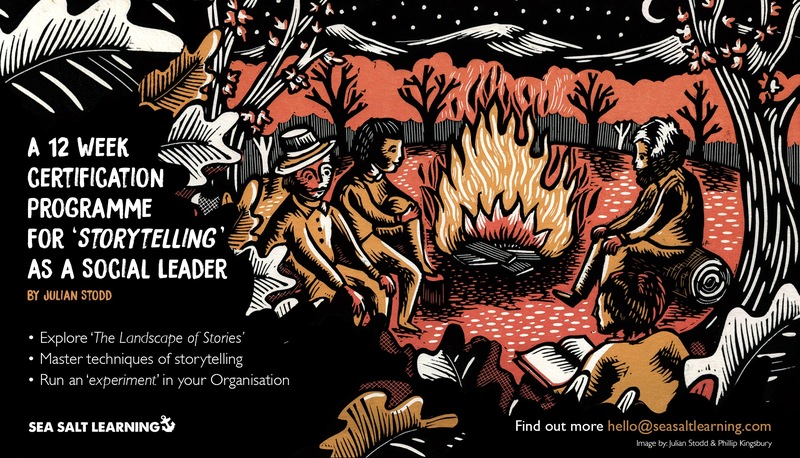 In the context of ‘The Storytelling Leader’, this is about our ability to understand everything that we have explored above, and use that understanding to evolve the narrative of the Organisation itself. Which brings us (conveniently…) to the eighth aspect: ‘EVOLUTION’ of stories, the ways that narratives must evolve, or fracture. This is true both for the Organisation, and for us, as individual leaders. The leader that we were yesterday may not be the leader that we need to be tomorrow, and it is the process of evolution, respecting the old story, but definitively writing the new one, which is the journey that we must take. I describe my work on Storytelling as an exploration of ‘The Landscape of Stories’ for precisely this reason: when we make a journey, we struggle. We have to navigate, carry our luggage, and occasionally get lost. As we travel, we must create space, support, and time, to look around us, and to see how the view has changed. As they say, it’s the journey that counts, not simply the destination. 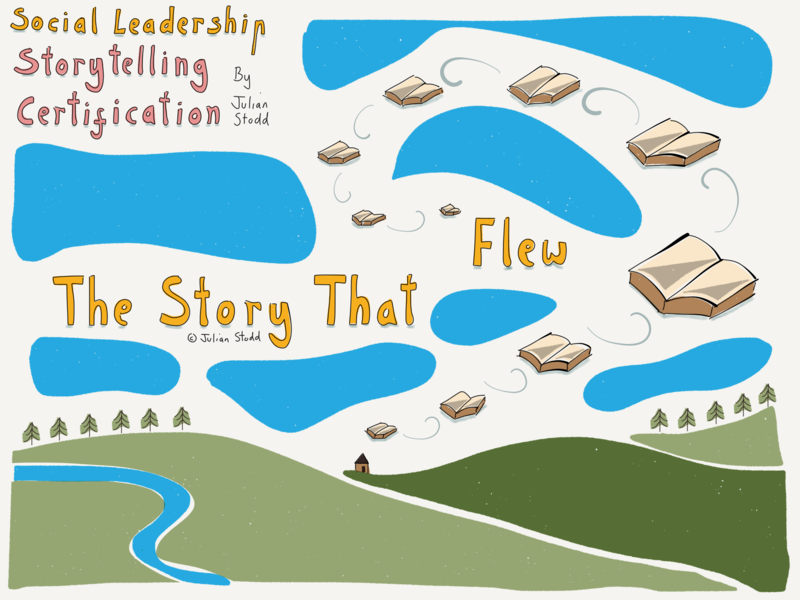 And there is one other context of ‘The Storytelling Leader’ that really counts: we can all travel across the same landscape, and yet build a different story as we do so. What passes underfoot, the things that catch our attention, the views and blisters that we accumulate, these are individual to us all, as we are all unique in our storytelling leadership.